My name is Veronica Toumanova and I am a professional tango dancer from Paris. Tango for me is about joyously living my passion. I perform, teach, dance socially and write about tango. 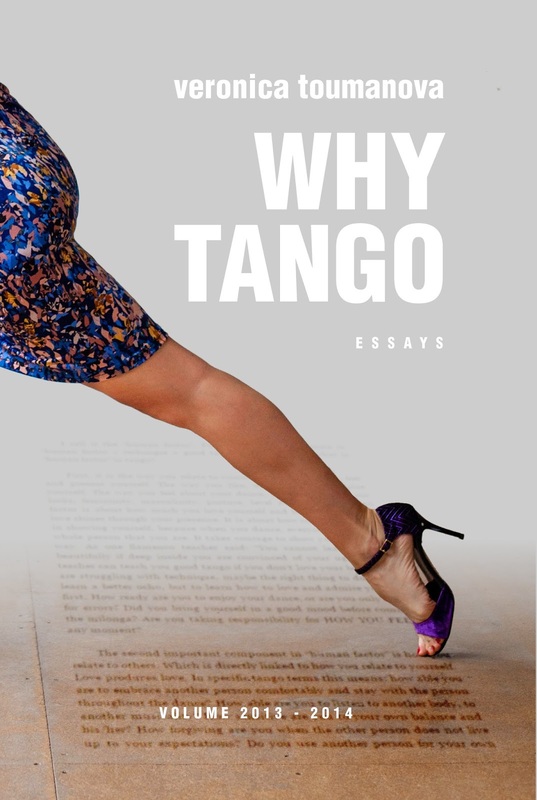 Looking for my articles on tango? You will find the full list on the ESSAYS page. A book with my essays is available on Amazon in print and Kindle format. In the past year I worked with different partners. Watch more videos of my PERFORMANCES. The original version appeared in Russian in a women's online magazine. El Recodo Tango (Bordeaux, France) offers an extensive musical database, including articles and a MUSIC QUIZZ to improve your knowledge of tango music. A central up-to-date website with milongas, classes and other tango events in France. If you are looking for milongas and workshops in Paris, this is the place.